KinderWiser: Discussion or Dialogue. Value or Waste? A few days ago, I was asked to talk about the future of “social relations & dialogue” during a seminar with human resources executives and trade union representatives. I chose to highlight the confusion often made between dialogue and discussion....and to show that this confusion is revealing deeper organizational issues. The confusion. We often think that we have opened a dialogue when, in reality, we have just started a discussion: the traditional debate between discordant opinions (management Vs unions or staff Vs line) is simply a discussion, i.e. a negotiation between specialized solutions advocated by dissenting parties. To open a real dialogue, you must add one more dimension: inquiry, exploration: what are the deep and essential questions laying behind or beside the advocated solutions? Dialogue combines the assertion of your own opinion with the common search for “the” core question(s) that we all can agree on. When there is agreement on the question, the "fight" for solutions takes a quite different turn, becoming a collaborative and productive quest. This turning point is key to a company's transformation or stagnation. 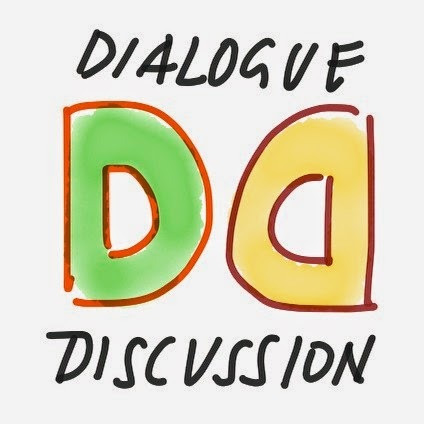 We privilege discussion because we fear the uncertainty and the loss of control that dialogue creates with its unexpected questions and the unknown solutions it may lead to. Therefore we tend to devote time to discuss at length our choice of familiar solutions (how? ), leaving no room for re-checking the changing reality, exploring problems and learning to adapt (why & what?). Dialogue is part of the learning process. It needs time, space and overture to uncertainty and doubt: finding, recognizing and facing together the issues and problems ahead of us, understanding their root causes, experimenting solutions, sharing and capturing the learnings, all these learning steps are built on dialogue, our way to learn from each other.